New SkyTrain cars are on their way to Vancouver! The first four of 28 new SkyTrain cars are on the way to Vancouver! As part of the 10-Year Vision – Phase One, we’re adding 80 new SkyTrain cars on the Expo, Millennium and Canada Lines to increase service and reduce overcrowding. We have some exciting news to share! The first four of 56 cars for the Expo and Millennium Lines, built by Bombardier Transportation, are now on the way to Vancouver from Kingston, Ontario where they recently completed testing. Once they arrive in Vancouver, they’ll will undergo additional testing before entering service. Big News! 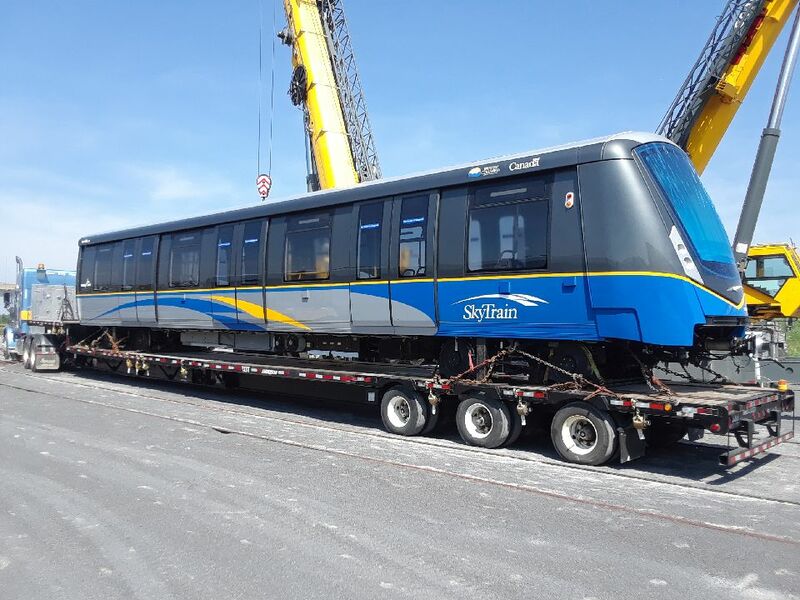 SkyTrain cars are arriving ahead of schedule! Today marks yet another great day for transit in Metro Vancouver as TransLink CEO Kevin Desmond, along with members of the federal and provincial government, announced the early arrival of new SkyTrain cars for our system! The deal was inked on a cold day in 2016, as part of funding provided through Phase 1 of the Mayors’ 10-year Vision. Today, the big news is that 28 additional Expo and Millennium Line SkyTrain cars will arrive by the end of 2019! That’s three years ahead of schedule!